Sesame Street was a HUGE part of my childhood -- records, storybooks, stuffed animals, bedsheets. But best of all -- the Little People playset. 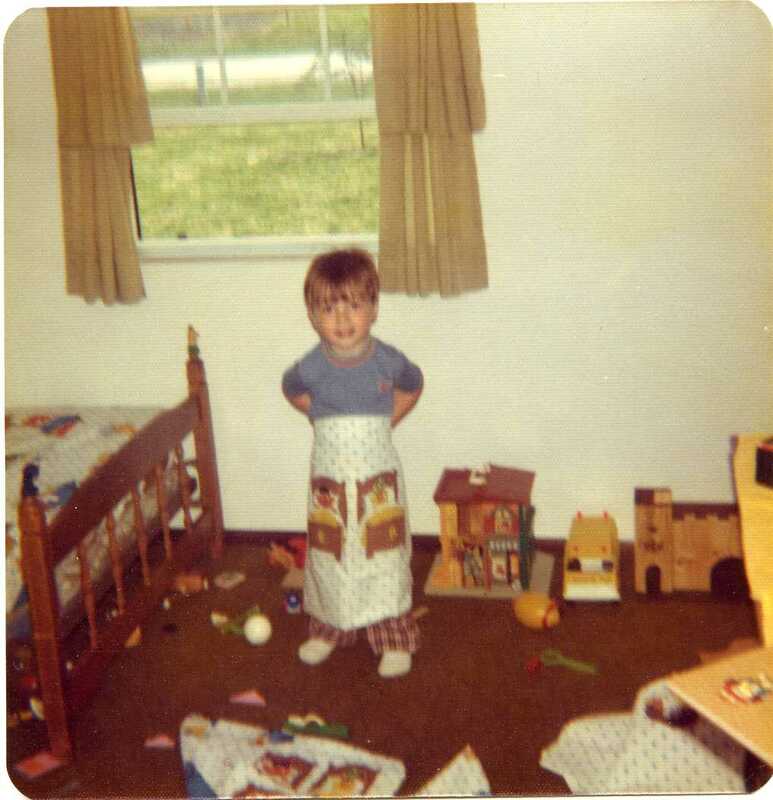 In the 1976 snapshot below, looking beyond my brother modeling a Sesame Street pillow case around his waist, the playset can be seen on the floor just to his left. 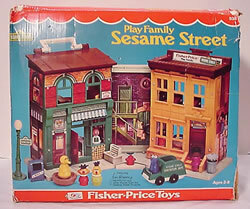 Produced by Fisher-Price in the mid-1970's, the Play Family Sesame Street playset was one of the coolest toys I remember from my childhood. 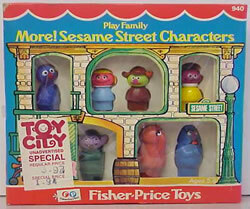 Until recently, I had always assumed that the playset had come with all of the Sesame Street Little People we had as kids; however, as I scoured the internet for images and information about this set, I found that seven of the characters were purchased separately in the set seen above on the right. 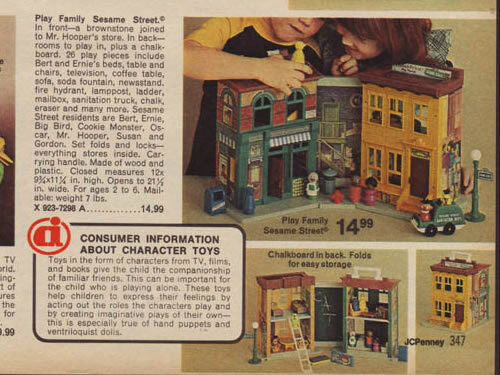 The JcPenney catalog page below shows that this set originally sold for fifteen bucks. Today, a complete set often sells on eBay for upwards of $100. Lucky for me, our set has remained intact. From the trash truck to Ernie and Bert's beds, every last piece is still around -- granted it's showing signs of being 35 years old. After years of wear and tear from my brother and I, my nephew took his turn a few years back and now the play set is part of my daughter's Little People army. Curiously enough, she doesn't like to mix these pieces with her other Little People. When it's time to play, she is very clear to distinguish between Sesame Street Little People and "regular" Little People. In recent years, two very different areas of interest in my life collided in the form of a popular YouTube video. The creator, using many Fisher-Price Little People (but mainly the Sesame Street set), has recreated the Spike Lee movie Do the Right Thing. If you're familiar with the movie, you'll love this. If not, you'll likely be offended. My childhood seems to be identical to yours! I had this playset and wow, it rocked. Sadly the only part that survives today is the oscar figure. You turn him like a screw to make him rise from the can, I believe. I will have to check my basement for him. Guy -- My set may have survived but as you can see, Grover and Herry's faces did not!